If you ask anyone at Notre Dame Jr./Sr. High School in Utica, NY, what’s new, chances are the answer will have something to do with the sounds of music in school. That’s because Notre Dame has launched a new instrumental band program this year. There are many benefits to playing in the band. Studies have shown that students who participate in music classes make better grades and score higher on college entrance exams than students who don’t participate. In addition to the impact on student learning, music students are developing life skills that will prepare them for college, the workplace and personal success. Notre Dame’s band/music teacher Kristin Hahn said there are many good reasons to join the band, and she will continue to emphasize how important it is to learn to play music. According to Hahn, that is just one part of the advantages of learning an instrument. “What I see are students that have a sense of being a part of something. It gives students a place to belong, work and solve problems together. 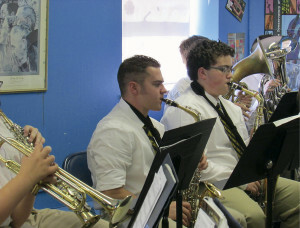 Music is unique and has many avenues for growth, and so much of what we do in the band room will transfer to other subject areas that require critical thinking skills,” she said. The Notre Dame Junior/Senior High School Band has about 35 students and a beginning band at Notre Dame Elementary School. In addition, the school offers jazz band, chorus and a Praise and Worship Ensemble that performs for school liturgies. The school has invested in instruments, music, and equipment. 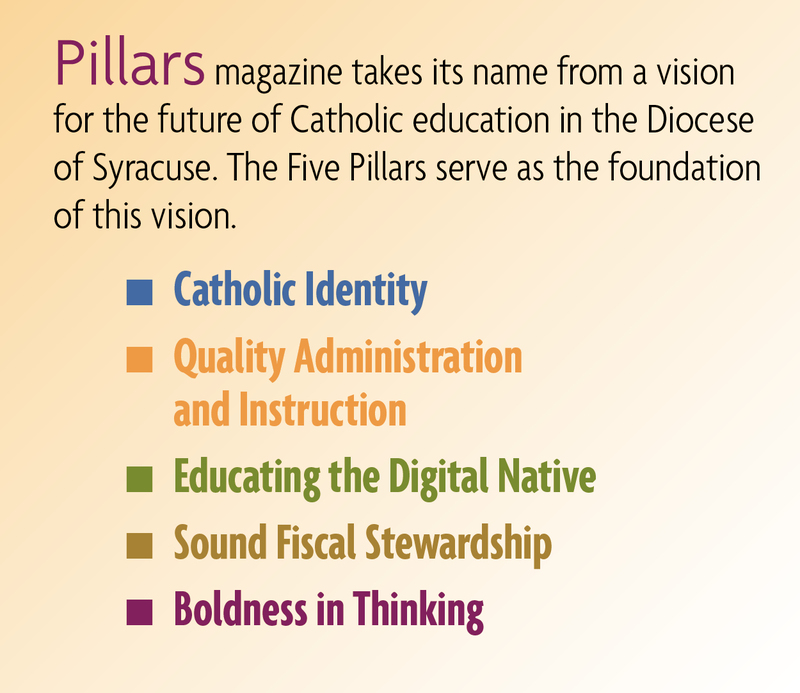 The program is off and running with plans to continue to grow and flourish. Already the school has some bragging points, including sending students to the 2013 Area All-State Band and plans for attending the All-County Festival and New York State School Music Association Solo Festival. Notre Dame continues to get the word out about the band program and the good work done at the school.